VR and AR in the Wearable World. Definition: VR Virtual Reality, AR Augmented Reality. It’s clear that with the Oculus (VR) and the Google Glasses (AR) a new era in technology is presenting itself in ways that could be considered impossible to understand at this time. The difference between VR and AR lies mainly in the fact that AR is mixing up a little bit of VR with reality and VR is a complete virtual world. Apps have been built for about 7 years now for the mobile platform. Which basically means that it was the mobile platform that was deciding the boundaries for apps and it decided to what extend an app can be useful or entertaining. When we look at television in the fifties, it is evident that several forms of presentation had a new platform to be broadcasted on. Television shows and movies found their way on to the new medium. Unfortunately, it took about 40 years for the industry to create blockbuster programs like Big brother or Pop Idol and fully make use of the Stone Age platform called television in the context of entertainment. Since VR and AR are in the end complete new platforms. How can you tell in what way these platforms could serve the mainstream like TV has been. We can’t tell what kind of apps or devices will be developed in the future. The boundaries of the mobile platform will definitely extend the area for developers to express their ideas and with that the developers creativity to make more useful apps and devices. We hope it won’t take another 40 years to find possibilities to create the next “killer-apps” or devices, which will completely expand the boundaries. Each platform can and will make a difference in its own way. Subsequently, we don’t think it serves a purpose to find out which technology, VR or AR, will be more successful. We are sure both will serve a different purpose and co-exist beside each other. Most likely, the VR technology will serve the gaming industry, but that being said, the gaming industry can easily invent a new feature that can throw the whole wearable technology world upside down. 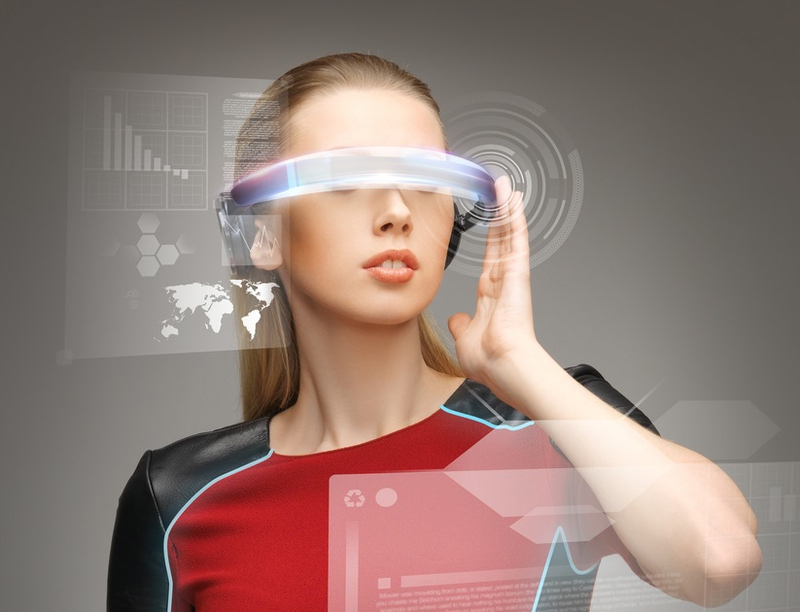 When it comes to VR and AR technology implemented into wearables, it’s going to be interesting how these new technologies will be able to have an added value. We know Google is trying to make a quick buck on the Google glasses. They ‘only’ cost 152 USD to manufacture and Google is shamelessly comfortable doing the price-psychology shuffle with consumers at an RRP for 1500 USD. We can’t imagine consumers are going to pay the same amount 2 years from now. Either way, we cannot imagine that people will put lenses into their eyes so they have their fair share of AR, when they are not used to wear lenses in the first place. We guess its safe to say that developers are basically clueless about where this all could lead. It will be a painful quest of trial and error from this point on for the developing industry. We predict that developers with a passion for developing, will inevitably be subjected to a painful path of trial and error, where the more mistakes made will result in the creation of an end product that will be desired so much that it will end up in our online shopping-cart.